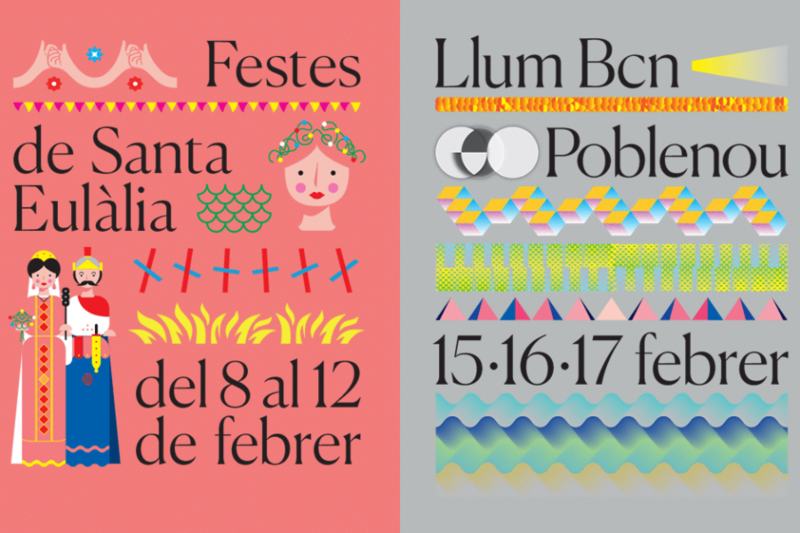 The Institute for Advanced Architecture of Catalonia has once again had the honour of being invited to participate in the Llum BCN Urban Light Festival in Barcelona. 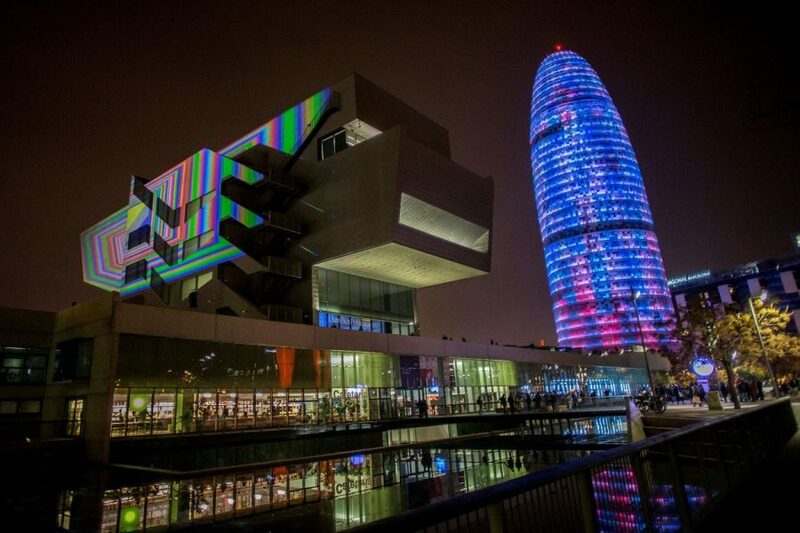 Llum BCN will be illuminating the city, using light to transform its spaces. 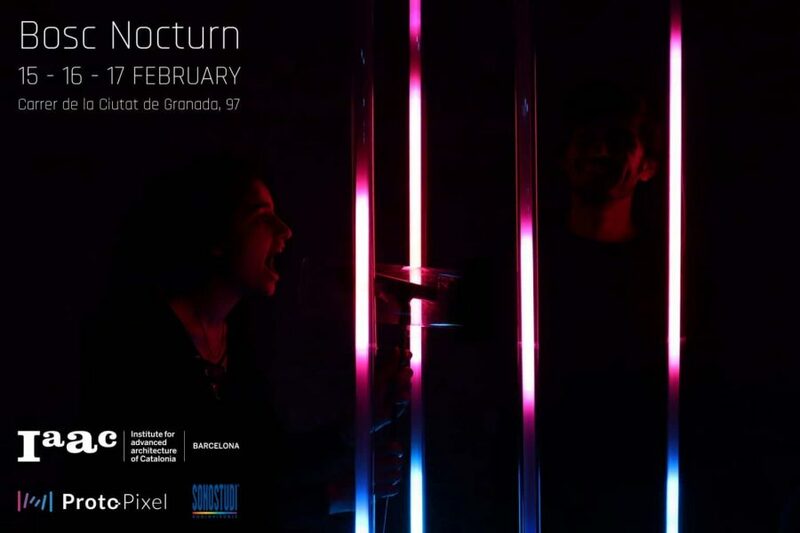 Join us at the Poblenou Urban District, from the 15h to the 17th of February, and play with our interactive light installation “Bosc Nocturn” (Night Forest)! Bosc Nocturn is an interactive installation which invites people to enjoy the play of light. While combining both audition and vision, visitors can interact and change the light movement by their input through the microphones. The installation consists of 6000 leds, which are spread throughout the site to create an illusion of a forest in the [email protected] district, and 4 microphones, which are placed near each window overlooking the “forest”. By talking, shouting or singing to the microphones, visitors can interact and contribute to the play of light landscape. This project has been developed by our Master in Advanced Architecture students, tutored by Luis Fraguada and Cristian Rizzuti, and is sponsored by Protopixel and Sonostudi. 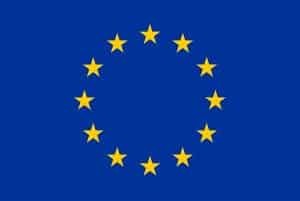 On the eve of the Festival, the 14th of February, IAAC will also be glad to host the lecture Unstable Presences of the electronic artist Rafael Lozano-Hemmer, who will be presenting his new installation.